Having been gone for three years, closeted advertising executive Adrian ("Gotham" star Cory Michael Smith) returns to his Texas hometown for the holidays during the first wave of the AIDS crisis. Burdened with an unspeakable tragedy in New York City, Adrian looks to reconnect with his preteen brother Andrew (Aidan Langford) while navigating his relationship with religious parents Eileen (Virginia Madsen) and Dale (Michael Chiklis). When he reaches out to his estranged childhood friend Carly (Jamie Chung), their unresolved issues Adrian to confront an uncertain future that will significantly alter the lives of those around him. 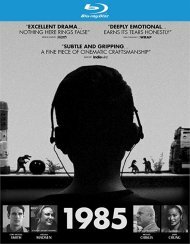 Shot on black-and-white super 16mm film, 1985 takes a unique look at a pivotal moment in American history through the prism of empathy, love and family. 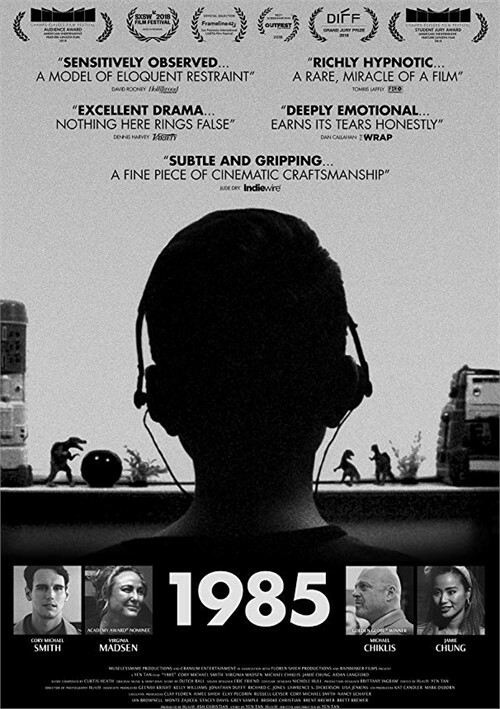 Adrian (Cory Michael Smith) is in the opening scene in Yan Ten's "1985" as he waits for his father Dale (Michael Chiklis) to pick him up at the airport. Adrian is coming back to Texas for the first time in three years. He moved to New York and seldom came home. He has basically ignored his family and their calls aside from the time that his brother Andrew (Aidan Langford) planned to visit him in the big city. Adrian is essentially a ghost yet now he is more visual to his family than to himself since his HIV diagnosis. His father, Dale, says that he lost weight because of a stomach flu. We never hear the words gay or AIDS in this family and that is because their home is a religious one. Adrian pretends to be having a successful life in New York. He "has" a comfortable ad agency job but the reality is that he's attended far too many funerals for a man in his twenties and the fact he's likely going to die soon himself has him to go to his hometown to say goodbye. He isn't alone in his quiet desperation. Dale, a Vietnam vet, doesn't know how to talk to either Adrian or Andrew, now that the latter has traded in football for drama club. Adrian's mother (Virginia Madsen) sneaks into his room at night while he's away. The discontent amongst all of Adrian's family, as well as Carly (Jamie Chung), a friend from high school who has since moved out of the suburbs herself, is notable because of the way director Tan uses each of the pieces they feel are missing to find the places where they connect, either in a feeling of shared emptiness or the delightful recognition of the person they knew in happier, simpler times. 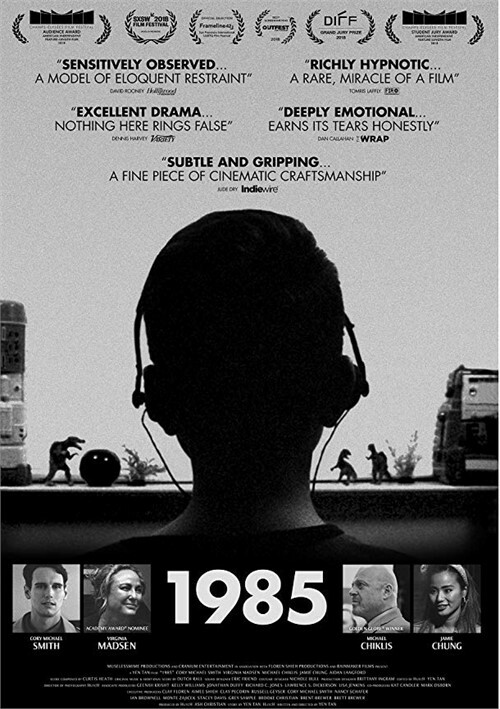 This is what makes "1985" so devastating. The film builds subtly but steadily, with its considerable might being exposed in close-ups, with the full of the performances of a wonderful cast drawn out by the black-and-white cinematography.